Alle Achtung: Alles ist drin enthalten! Fab card Svenja, you did a great job getting a full house! Love the sequin notes spilling out of the sax! 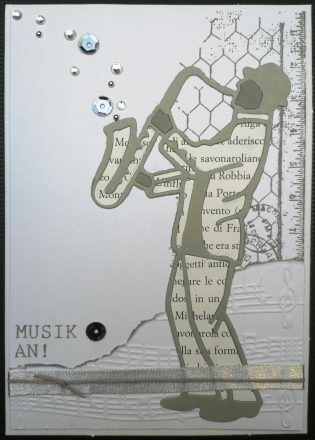 Wonderful CAS card, love the sax player. Well done on getting a full house. I love all the elements and the sequins and gems are a fabulous touch.